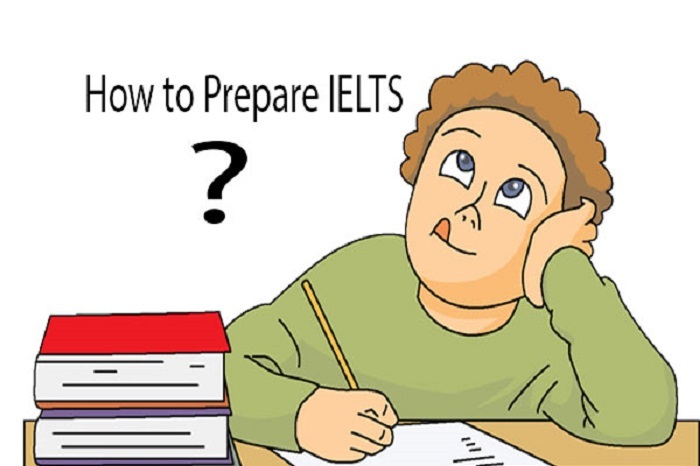 How to prepare for IELTS Exam? What are the key components of clearing IELTS exam? Which are the best books to study for IELTS exam is some of the most pertinent questions that have been asked by the students who are aspiring to clear IELTS exam? Hence, today we are going to share some of the most important tips to clear the IELTS Exam. It is considered to be one of the widely accepted English proficiency test accepted by 140 countries. This test is divided into two categories General and Academic. Some people assume that IELTS is only mandatory for students who want to study abroad. However, those people who want to work abroad they also require clearing the IELTS exam. When is IELTS test conducted in India? People usually ask when does IELTS test is conducted in India? And which organization conducts IELTS exam in India? So, IELTS test is organized across 40 cities of India. The exam is being conducted during various dates of each month which you can check here: British Council Website. You should prepare well because IELTS exam is not a cheap exam, although, it costs 11300 rupees. To prepare for IELTS exam, you should visit the official website of IELTS to gather the essential details of this exam. Note down the total time of this exam, a number of questions and time allotted to answer each question. You can also download the sample question papers of IELTS exam. Books play an important role in the overall preparation of IELTS exam. Therefore, ask your seniors and institute from where you are studying IELTS and buy best IELTS book. To score good marks in IELTS, take sample IELTS test on a regular basis. It will help you to assess the areas in which you are weak and you can work on that areas to improve your chances of getting through this exam with flying colors. Focus on IELTS listening section because it is one of the most in important section in overall IELTS exam. One on one interaction can help you a lot. To prepare well you should start a telephonic conversation and write down the important words. The students find it difficult to comprehend what a native speaker is saying because of their accent. So, practice as much as you can because it is immensely important. There is one another important section in listening which is speech. You are being made to hear a speech. So the best way to prepare for this section is to listen to different people speech on Youtube or listen to podcast regularly. To score well in reading section read as much as possible. This may seem tedious at the start but once you develop a habit of reading this will help you in a long run. Therefore, develop a reading habit. reading will help you to learn new words and concepts which are quite important to clear this exam. Don’t just verbally try to memorize everything but make proper notes. Since it will help you sharpen the details you are looking for. Students find it hard to crack this section so if you are facing difficulty in surpassing this section; then do one thing solve as many as possible comprehension. Make your habit of solving two comprehensions on daily basis, it will make you strong in this section. Read the entire passage and try to find out the crux of the passage. Don’t leave any question unanswered. Don’t devote much time to a question, keep an eye on the watch because you would not be given extra time. To advance your proficiency in English make a chart and follow it rigorously. Try to learn new words on daily basis. If possible work with a private tutor if you are weak in English. Get connected with other people who have cleared this exam. Ask your friends and family members who are studying in abroad ask them how they cleared this exam. On the day of exam be prepared for a long day for reading, listening and speaking exam. Read every instruction carefully before answering even if the question looks familiar. Use formal words in writing the exam and use slangs and abbreviations where possible. In the speaking section remember the more you speak the higher the score. However, remember don’t get deviated from the topic. PREVIOUS POST Previous post: How to Prepare for SSC CGL Exam in One Month? NEXT POST Next post: CAT VS GMAT Which One is Better?